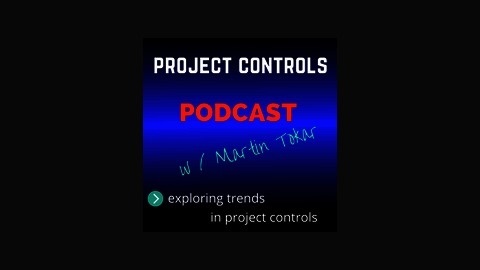 Project Controls PODCAST is a weekly audio program sharing practical information for today’s Project Controls Specialist. Here we share, we connect, we grow! This podcast gathers a global community of professional Project Controls Specialists, Engineers, Risk Specialists, Cost Analysts, Quantity Surveyors, Schedulers, Earn Value Specialists, Cost Controllers, Procurement Experts, Estimators, Project Managers and Consultants. Some of the topics we cover include principles of project management, project planning, cost estimating, budgeting, parametric estimating, project contingency, work breakdown structure, applied statistics and economics, planning and scheduling, productivity, progress and cost control, risk management, risk analysis, cost tracking, project closeout, cost reporting software and so much more! But that’s not all. The podcast is really about the spotlighted guest and his journey. We get most excited to learn about the person we interview. In today's busy world Cost Controls Professionals often juggle countless responsibilities. Time is of the essence and not everyone has regular time to read or to attend the conference... And that's why our weekly podcast audio show is here to help. We can now listen and learn on-the-go; as we commute to work, wait for appointments, or while we exercise... by simply tuning in on our smartphones. Here - we learn from the industry experts. We discover exciting projects, new job opportunities, news about seminars, courses, professional certifications and useful books and technology. We also exchange fresh ideas and creative insights combined with lighthearted humour and ...a laugh or two. In a nutshell - we are sharing practical information for today’s Project Controls Specialist. We welcome experts belonging to these organizations: AACE, DACE, ICEC, ACES, RICS, ACostE. 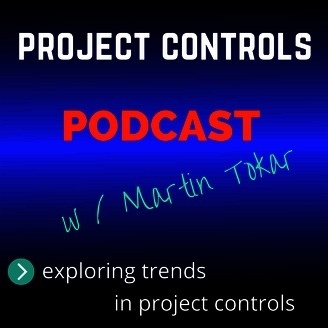 Discover Project Controls PODCAST! Exploring trends in project cost, schedule and risk controls! Gael MacLeod is a Certified Management Consultant with considerable experience both as a practicing consultant and as a decision maker. During her time on Calgary City Council she reviewed and made decisions based on engineering studies for Roads, Water and Waste Water, and Recycling and so much more! Gael is keenly aware that understanding the underlying assumptions and the human element are equally important when considering consultant’s recommendations.